oh my goodness hello everyone! i am slowly getting better and it feels so amazing. your prayers, comments, and emails have meant so much to me. i am getting soooo close to being able to blog again. but for now, i have something for you i am SO excited about. my sister lives in california and she is one of my sisters best friends. i met her last year when i drove there with the kiddos, and was completely amazed by her! she has an etsy shop where she sells fantastic patterns and ready made as well as custom order mei tai carriers! and guess what!? she wants to give a customized mei tai carrier away to one of my readers! leave a comment letting us know you are in! we will randomly pick a winner and announce it on monday! 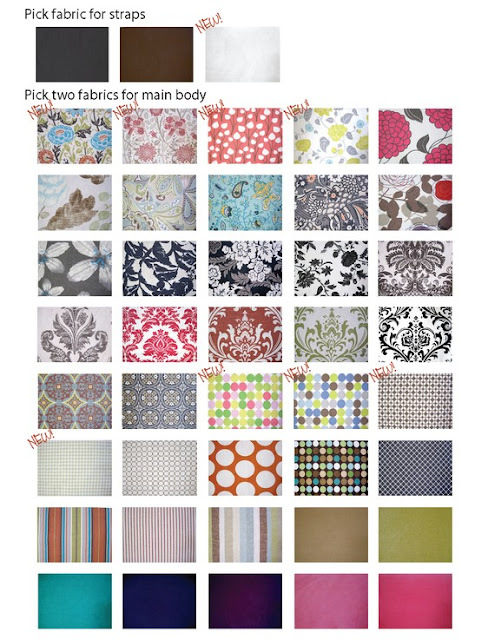 1- Pick ONE fabric for straps (black, brown, white). 2- Pick TWO fabrics for each side of the main body. i have seen her carriers in person, she is a perfectionist, and her work is amazing! i will be back to you soon i promise! SO cute! I'm totally in! I love her choice in patterns and colors! P.S. Glad you are feeling better! I am in! I would love to win! So glad to here you are doing a bit better. GAH! This is perfect for me. We have worn out our mei tei! I so need a new one!!! yaaa! So I am for sure IN! I'm in ( : my little one would look like a doll in one of those! I love these! I am definitely in. glad you are coming back!!! I am so in!! Love them!! Glad you are feeling better! You will continue to be in our prayers. Take Care and Be Well!! So glad you are feeling better! These are absolutely GORGEOUS!! I just had my second son 3 weeks ago, and this would be a perfect way to keep my hands free while chasing my 2 year old around. LOVE IT! I am in. I don't have little ones anymore, but would love to give this to one of my friends who is going to have one. So glad you are feeling better! I'd love to be entered for the giveaway. Those carriers are gorgeous! I'm in. Amazing! I'm so happy you are feeling better. I was planning on making my own Mai Tai for our little one on the way, but I like the idea of having someone make one for me!! Especially one as cute as these!! Thanks for the giveaway. Hope you continue to feel better everyday. I would love one...count me in! I'm so glad you're starting to feel better! :) How wonderful! and I'm absolutely in! They are beautiful! Wow those are amazing! My husband and I are expecting our first child through adoption and I would love one of these! Count me in! Glad you're feeling better! Me, me, me! I'm in! Love this!!! cutest one i have seen yet. count me in!!! So happy you're feeling better! And yes, I am IN - those are the cutest, and I definitely need one!! I am totally in! And I hope you get feeling ALL BETTER SOON! I'm in! Expecting #3 in May...this would be awesome. :) glad you're slowly feeling better...hope you're back soon!! I'm SO in! My sis is pregnant with her first, and this would be an amazing gift!!!! SO glad to hear you're feeling better!!! Let it be ME!!!! Please! Having a baby in July and this would be perfect. Glad you are improving. i have been wanting one of these for a while now, love them! i'm in for sure! beautiful fabric choices she has! p.s. so glad you are doing better! Ah.dorable! This would make a terrific baby gift for one of my great friends whose first will be here in August. She too has been on bed rest with complications. Glad you are getting better. I don't have to know you to pray for you! These carriers are ABSOLUTELY adorable!!! They are beautiful! I'm so IN! I'm in! these are so cute! i would love one! and im so glad you are starting to feel a bit better! Oh my goodness, these are gorgeous! I am definitely in. Ooh. I am in. I think one of my friends got one of those at her baby shower last year! They are awesome. yes please! I am definitely in. So glad you are feeling better!! For sure I am in! Do you know how many pounds they will hold? Thanks for the great giveaway! Ooooh buddy, I'm in. Would LOVE one of these- they're gorgeous!! I'm in! I'm in! Those are GORGEOUS!! I'm due in July and would LOVE one! Glad to hear you are feeling better. Can't wait for you to be back! I would LOVE one of these...count me in! Those carriers look awesome! Count me in! Wow! Pick me Pick me!! What a great gift idea too! Love it! Count me in too! I am so glad you are starting to feel better! Would love to win this. Love that you are blogging. Henry is going to need this. Love them! I'm in. Totally a better way to carry around an immobile one-year-old. So glad you're feeling better! I'm due with #4 in 5 weeks, and it has been a very long and rough road!!! I would love one of these carriers! They are Gorgeous!!! INSANE AMOUNTS of 'IN' for me! I'm SO glad you are feeling better!!! I don't even know you but I was worried about you and your family! Glad to read that you are still alive!!! :) Hope you are 100% soon! i hope i get randomly chosen. this would be a great gift! i'm soooo happy you are feeling better! oh, and of course i am IN for the giveaway! thanks mucho! would love one of those carriers! such nice fabric choices. I am so in, and I am so excited to see you blogging! We have missed you! Love these carriers, they are GORGEOUS! These carriers are too cute! I'm definitely in! What a great thing to win...I love all of the fabric choices! with #3 on the way I'd LOVE to enjoy this mei tei!!! please pick me! I love the choice of fabrics and I need something cute to carry my baby in (and to inspire me to dress in something nicer than my "mommy uniform"). I am in it to win it!! Thanks! First baby girl due in a month! I am in! I'm really happy your starting to feel better. I hope you keep getting well! :) Take care! I WANT one!! These are so gorgeous. P.S. You dont know me, but I follow your blog. I have missed your updates and was very sorry to hear you are having such a hard pregnancy. I am glad to hear things are getting better. Those look like they would be very comfy! I would love to use it with my 3 month old! I would live one of these for my 8 week old stud muffin!! Count me in. So glad you are doing better, best wishes. Ooooo this will come in handy for my baby girl. I'm in for the drawing. Prayers and blessings to you as you recover. Hope you are well soon! So beautiful! I would love to have one. can't wait till you are posting more. So glad you are feeling better. I would definitely love one of these. I've been wondering how I'm going to haul a newborn around while chasing a 20 month old outside this summer. This would be perfect! I'm a foster mom to little babies and that carrier looks awesome!! I would love to own one! But most of all, so glad you are feeling better. 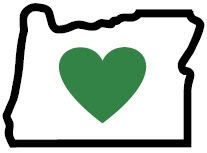 I don't know you personally, more of you from church in the Pacific NW and your blog, but reading your story made me feel for you. I am incredibly grateful that you are so willing to be a mother despite the challenges. You are a fabulous woman. Congrats! how do you choose just one? these are beautiful! thanks for the chance, i'm in! I'm in, too! Those carriers are the shiz. how cute, I've never seen one like this, I'd love to win such a beautiful piece. So glad to see that your are feeling better and back to blogging! We're also expecting and would love a carrier! Great giveaway! I'm in!! This would be perfect for #3 due in May! i love Dani! I met her a few months ago, and she's doing a giveaway over at my blog next month! love it! can I win anyway, even though I know her! So glad the "torture" is almost over!! I would love to give a Mei Tai to my sister who will be adopting her first baby in a couple of weeks. She would love it!!! Count me in!! Thank you! I am glad you are feeling better! We are both due in September. This will be my first and I would love to win. I'm in! I love to read your blog! So glad u are feeling better..progress is progress... No kids for me yet, but we are trying! Love the carrier so beautiful, and what talent! I would absolutely love one! They are so beautiful and look really comfy for both mom and the little one. I'm totally in! And so excited to see you blogging! I am IN! Such a beautiful giveaway! Love the choice of colors and patterns. These are so cute! Glad you are feeling better too! You can TOTALLY count me in. Gorgeous carriers! So happy you are feeling better! I would love to win this, what a neat gift. It's good to see you blog again...I think about you all the time! Keep hanging in there...Love you tons! ps - Welcome back! I am so happy you are starting to feel better. Thanks for the give away! I am in- because they are super sweet!! I'm in!! These carriers look amazing! Oh I am in!!! They are so DARLING!! OH my goodness; I'm in! These are the cutest baby carriers I've ever seen! We just found out we're expecting #2 so we will definitely be needing one of these! 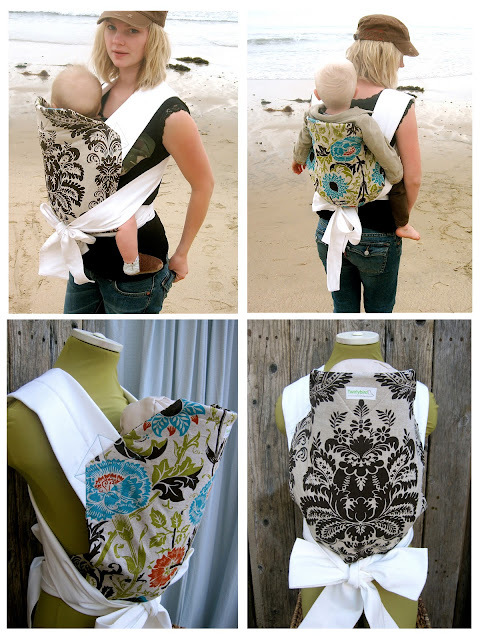 LOVE IT, her fabrics are awesome & I would love to carry my little one in it! I am in!! Those carriers are so adorable! Way cuter than the ones in the store!! So glad you're feeling better!! I would love a carrier for my new little boy! I LOVE the fall leaves fabric! What a beautiful way to carry a baby. I'm in! Would love this! Glad you're feeling better, too! These are awesome!! I'm in! SO glad to hear your doing better. Im sooo in!! Count me in! They look amazing! This would be great for my BFF's baby shower coming up soon! I'm in!!! So glad you are starting to feel better. Those look amazing! I love that she is showing an older baby it it! I would LOVE one of these. Dani is amazing! She makes amazing stuff and i am always in awe of what she does. Whoever wins this is very lucky. I'm in! those are beautiful! This is perfect timing!! :] I am hunting for a perfect carrier as it's been 5 years since I've needed one. Thanks for the giveaway and am SO glad to hear your are feeling better!! Glad to see you're on the mends! Thanks for offering this giveaway :) I'm in! Those are cute :) I'm in!! I am in! With baby 2 on the way Im definitely going to need one of these and they are so beautiful!! Wow, those are beautiful. 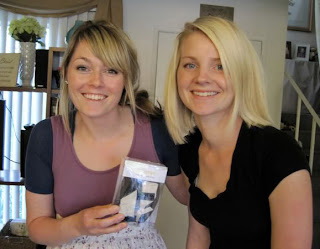 I am having our second child in July and would so need one of those! Praying that you just keep getting better and better! I'm grateful things are getting better for you! Hope you continue to improve. I'd love to be included in the drawing!! so glad you're feeling better.. I am so glad you are starting to feel better, I was thinking about you today as I started to read blog and though, "I should tell her that even though I've never met her I really do think and pray for her" So there ya go! And of course, I would love to win a carrier! I'm expecting my 2nd in June and that would be so nice to have! I'm totally in. I'm due in September and would love one of these. Of course!! I'm in and they sure do look fabulous! I am so in! What a beautiful carrier, would love one! P.S. Been thinking about you, glad you are feeling better! I would love to win one! Having a baby in 4 months, I AM IN!!! Oh my goodness, do I need one of these. My one year old would love to be carried on my back. Thanks for the fantastic giveaway. Bless your heart! The things we do for little babies! Glad you are doing better! Count me in! I'll keep my fingers crossed! Love it!!!!! and it would come in handy with my new little one and toddler running around. Thanks! I just had baby boy #5 so this would be perfect. You can diff. count me in. Thanks a bunch!!! So cute! I'm expecting a little girl (I have 2 cute boys) about a week before you are due :) I would LOVE one of these! super cute! i would love one of those for baby #2 that is on the way:)count me in! Oh wow! Please count me in Tanya! I mde a Mei Tai carrier for Asha, but Dani's design is SO much nicer! That would be so great to win!!! Glad to hear you are getting better! I've actually wondered about you a lot since your last post and have hoped things were looking up for you! Excited to see you back here, but more than anything, just be healthy! woo hoo! you are back! I said Yippy outloud at work when i saw you posed something. I am so glad you are feeling well enough to atleast blog a little. as for the carrier, I am so in! these are awesome looking! my friend says they are amazing - i would love to try it out! I'm new to this blog and wow what a treat! These are BEAUTIFUL!!! These are so cute! i love everything in her shop too! This is the one thing I have said I want for a next baby! I'd love to have one of these for a future baby. These are so cute! I would love to carry my new baby girl (due in a few weeks) around in one! Wow, those are BEAUTIFUL!!!! I'm in! I am in too. Rosie and I would love to rock West Hollywood in one of her cute carriers! I am sooooooooo IN! Those are awesome and I love the fabrics! Pick me! So Cute! I would love to give this as a gift! I was thinking of getting an Ergo...but it looks like this is better! I'm in please!!! pick me pick me random generator!!! :) i would love one for my new little guy coming in June!! Oooh I'm in! Such a beautiful product, so darn crafty! If it is not too late- count me in! I would love one!! I'm in!! I'd be happy to make something for your new one on the way! I am in, in, in! Baby girl due in August needs this, since she's the fifth, and I am completely out of free hands at this point! Holy smokes I would love the green damask with a solid green and white straps! Oh and hang in there! Smoochies! these are beautiful! i am definitely in!! so glad that you are feeling better. i'm pregs right now also - i think i am due 5 days later than you :) i've been sick, but nearly as sick as you, and have thought on many occasions how difficult it must be to go through what you're going through. Oh I am so glad you are feeling better! I have been checking weekly for any sign! I would love a carrier. You should probably win it though! I love these! My little girl loves to ride around with me and this would be a nice change from using a wrap. I LOVE this carrier- consider me IN! I am so in. It looks fantastic! I would love one! Thanks for sharing. Ummm...me please! (It will make keeping up with my older two littles easier if I can carry my new baby in one! like the material options! Would love to win it to carry my 5 mth old in!! Hello! My name is Tanya, welcome to my blog. If there is one thing I have learned about this life, it's that it is not easy. But, I have also learned that we can have a heck of a fun time along the way. I like to share some of the things I have learned here. Come along with me. 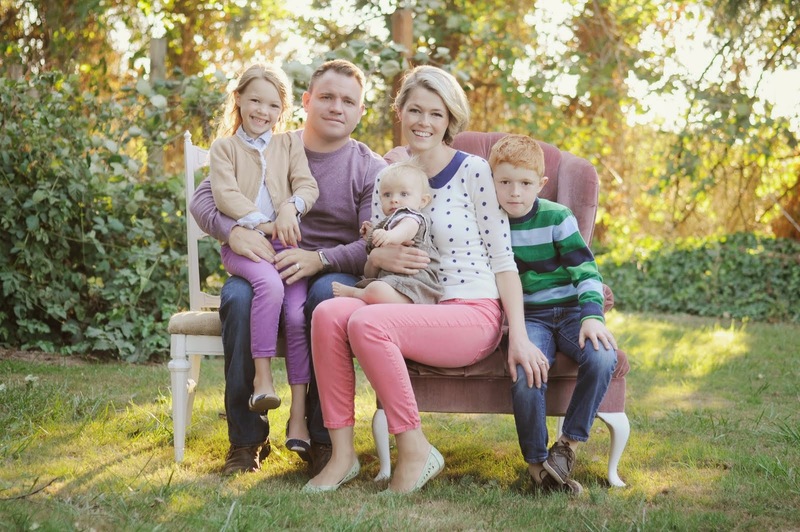 I would have quit this crazy blog long ago if it wasn't for these people!